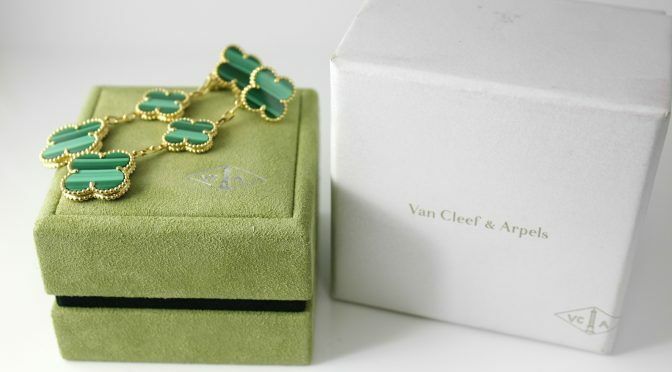 This is a gorgeous pair of 100% authentic Van Cleef & Arpels Magic Alhambra 3 motifs earrings in 18k yellow gold and malachite.It comes with the VCA inner and outer box. The earrings themselves have been professionally cleaned and gold has been polished by our jeweler for a like new appearance. 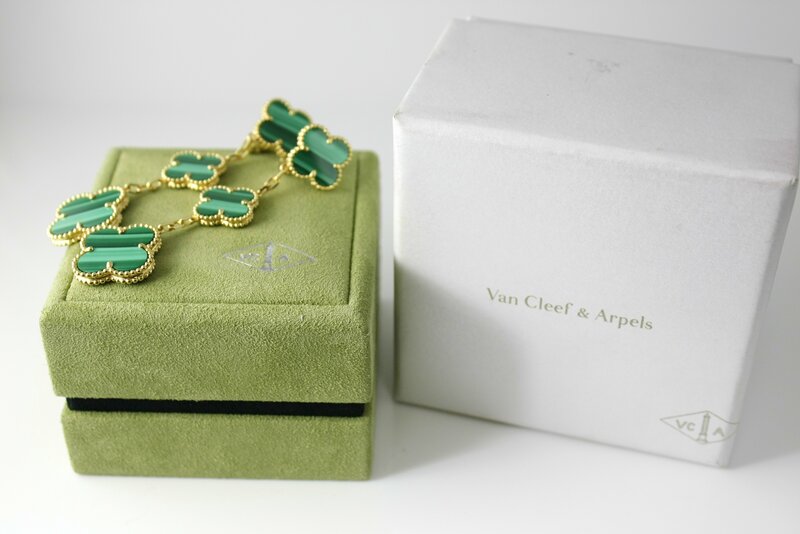 These earrings currently retail from Van Cleef & Arpels for $9,350.